Awaiting Latvia’s Centenary and RLS-150, the 7th annual Charity ball, the biggest in Latvia, will gather together 400 businessmen, patrons and artists into the halls of the RLS. The first Latvian entrepreneurs built the RLS House and laid the foundations for the independent state of Latvia. With the Charity ball we are continuing their legacy. Charity ball is organised free of charge by Rotary, Club 41, Lions, Zontas, Rotaract. Through past donations we have collected over 100 000 EUR, which has been annually invested in restoration and preservation of the RLS House. As when it was built and as it stands today – RLS House is our nation’s heritage for now and the future. 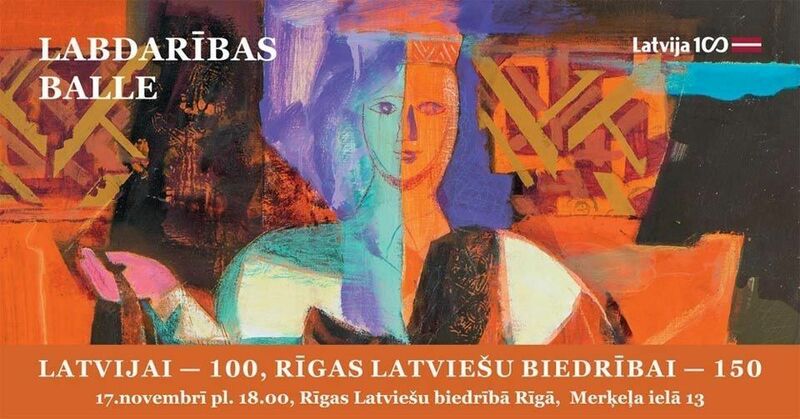 The concert and the great artwork of Latvian artists for auction has been donated by the artists for RLS restoration.